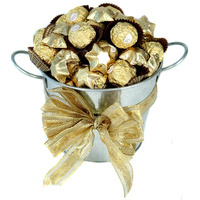 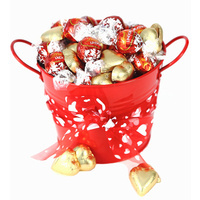 A gorgeous Chocolate bouquet is filled with flowers & yummy chocolates. 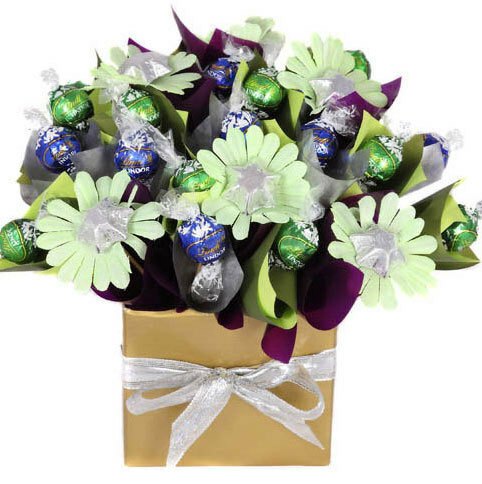 This gorgeous edible chocolate flower box is filled with yummy chocolate treats for mum nestled amongst pretty silk flowers. 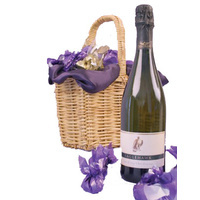 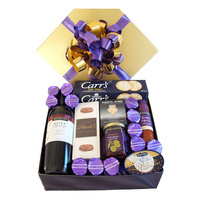 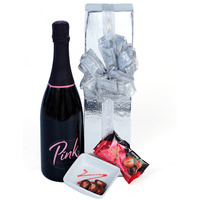 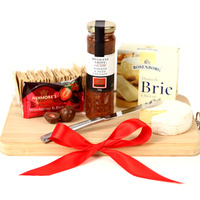 Presented in a gorgeous glossy gold gift box with ribbon and attached gift card. 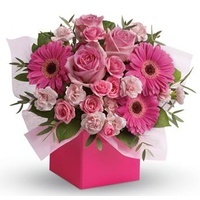 "This floral chocolate box will not wither away after Mothers Day and can be eater long after the day has passed..YUM".